If there's one word that typifies everything that could be wrong about the defence modernisation process in India, few would argue that it's ‘artillery’. 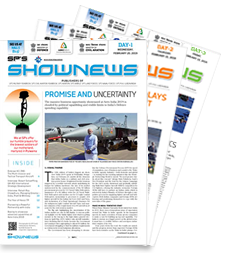 At Defexpo 2012, cautious optimism had replaced cynicism following a decade of stops and starts that had reduced the field to farce. Since the show two years ago, there had been every hope that the Indian artillery canvas would have something to show for this renewed intention to modernise efficiently. Sadly, no competition has ended in a contract yet. Each one of the several gun bids is in various stages of the meandering procurement process. The stoic patience and commitment of international vendors wears thin, even as the Indian Government makes efforts to involve the Indian private sector in a big way. If there’s anything to celebrate, in the last two years, plenty has happened in that field at the very least. But deliverables? Not yet. 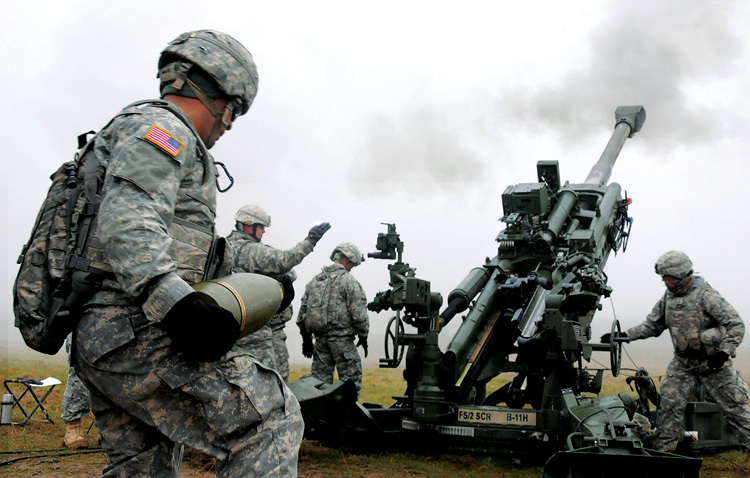 Psychologically and symbolically, it had been hoped that the government would have by now signed a deal for 145 BAE Systems M777 ultra-light artillery pieces, in a government-to-government contract with the US Government. That hasn’t come to fruition either, with recent reports now suggesting that a belated decision will have significant cost implications for the Indian Army. The truth is, budgetary constraints have stalled an immediate decision on the procurement, though there is reason to believe it will be activated as soon as the funds become available post the Union Budget shortly. For companies that have fielded their equipment in multiple trial rounds with little clarity or guidance on a decision, that's cold comfort. There is a renewed recognition now that by all accounts, one of the key war-winning arms of the Indian Army remains the Artillery Regiment. The Indian artillery modernisation programme is at once large as it is ambitious. 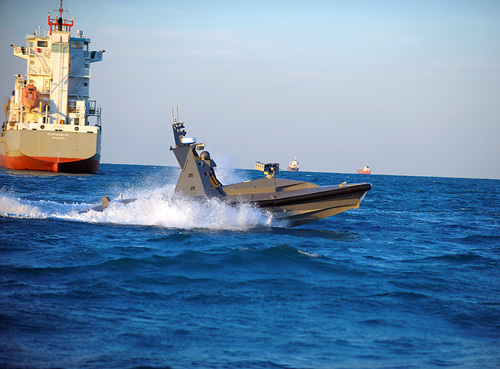 Indications at Defexpo 2012 had been hearteningly positive not just for continuing interest from established technology houses worldwide, but the incredible amount of interest from Indian private firms willing to go out on a limb. That trend spikes significantly at this year's show, with companies like the Bharat Forge and L&T entering the state of play in a big way. The Indian Army’s $400-million tracked gun competition for approximately 100 guns is turning out to be an enormously interesting one, seeing a face-off between Russia's UZMT and a tie-up of India's most experienced private defence player Larsen & Toubro Limited (L&T) and South Korea's Samsung Techwin (STW). At the last Defexpo in 2012, STW announced that they would be cooperating in the Indian Army's Tracked Self Propelled Artillery Programme. A proposal to develop the 155mm/52-calibre tracked, self-propelled artillery, with L&T as the lead partner, had been submitted in 2011 to the Ministry of Defence (MoD), and things have moved forward well in 2013-14. The tie-up has inspired other companies to consider similar collaborations (ahead of Defexpo this year, Sweden's Saab and India’s Ashok Leyland revealed they had teamed up to jointly bid for the Indian Army's SRSAM programme with a BAMSE-based solution). Samsung Techwin is the OEM for the Korean “K9 Thunder” self-propelled howitzer, one of the largest and most successful of the 155mm/52-calibre Self-Propelled Artillery Systems in the world today. 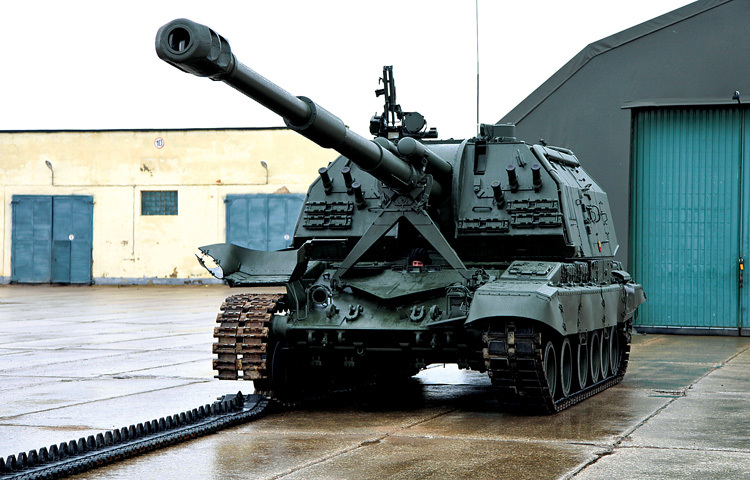 Larsen & Toubro, as the lead partner, announced in 2012 that it would indigenously produce the self-propelled howitzer, a huge boost to indigenous impulses at the MoD these days. As part of the cooperation agreement between the two companies, STW provides key technologies to L&T for localisation of the K9 Thunder. During the production phase of the Indian tracked artillery program, the joint offering would have over 50 per cent indigenous content including components like fire control system, communication system, NBC & AC, APU, life support system, etc which have already been used in India. This phase will also include significant localisation of hull / turret structure and major subsystems. L&T also plans to set up the integration and testing facility for roll out of these guns from its world-class, dedicated defence equipment facility in Talegaon, near Pune. Field evaluation trials are currently still on in the tracked gun competition, involving Russia's UZMT Msta-S tracked self-propelled howitzer gun system, one of the focus areas for Rosoboronexport at this year's Defexpo. Speaking to SP’s before the show, Rosoboronexport sources said, "The MSTA-S fits very well with Indian Army requirements. We are confident that it will be selected. The Indian Army has very rigorous processes for trials, but we are confident of success." Bharat Forge is moving forward substantively with plans to compete for the Indian Army's 155mm/52-calibre towed gun requirement, a competition that has confounded all involved and come to symbolise the decrepit state of artillery modernisation in the country. It is this requirement that was originally to replace the old Bofors field howitzers, and it is this requirement that has led nowhere so far. At Defexpo 2012, Bharat Forge’s executive Director Amit D. Kalyani had announced, "We are developing a towed gun of 155mm/52-calibre mainly for the supply to the Indian Army. We have already responded to a tender for supplying this gun. We have initially committed 100 crore only on development. If we win the tender we will need another dedicated line of investment for the assembly line." The company has followed through with an initial investment of $20 million to build capacity and acquire technology to develop and build the new gun at a facility in Pune that has come up well. Company Chairman Baba M. Kalyani was personally present at the show on February 7 for major announcements on progress following its tie-up with Israel’s Elbit Systems. Despite the continuing disappointment of no contract on the tantalisingly close ultra-light howitzer deal, BAE Systems is back at Defexpo this year with its M777. SP’s has reported consistently on a purchase that has been painfully close, but stymied by budgetary considerations and priorities at virtually the final stage. The government has placed on record that the field evaluation of the ultralight howitzer comprised three parts - user trials, DGQA trials and maintainability trials. 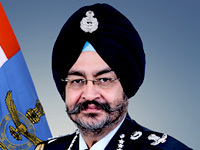 “The performance of the gun can be ascertained only after evaluation of all three trial reports,” Defence Minister A.K. Antony said in his last official communication on the deal in 2012. This year's show marks a significant development in something that had been envisaged two years ago. In Parliament in 2012, Antony had said, “The government had secured the right of transfer of technology (ToT) during the purchase of Bofors guns. Though all the technological documents as per the ToT contract were received by the Ordnance Factory Board (OFB) from M/s AB Bofors, the transfer of technology was not carried forward as the dealings with the technology provider, (M/s AB Bofors) were suspended. Further, no indent was placed by Army on OFB for manufacture and supply of complete gun system. 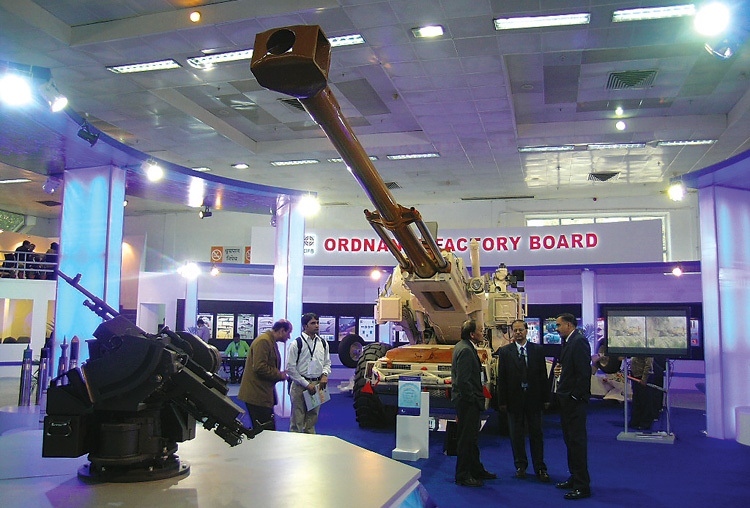 Capital expenditure of 376.55 crore has been sanctioned by the Government in March 2012 for creation/augmentation of large calibre weapon manufacturing capacity in ordnance factories.” This year, the Ordnance Factory Board-Army initiative, the Dhanush gun is on display again in an improve avatar - a significant leap over the FH77 Bofors gun that India procured in the 1980s. For instance, the Dhanush sports an all-new aiming and positioning system, a unified sighting system, an ammunition and charge display unit, a 30 per cent range increase on the original gun, improved efficiency on the modified double baffle muzzle brake and a modified loading trough. The Army-OFB initiative is currently going through a cycle of trials with the user and is being seen largely as a stopgap arrangement ahead of larger 52-calibre gun procurements. France’s Nexter returns to Defexpo this year with renewed enthusiasm. After promising at Defexpo 2012 that "Due to the importance of Indian artillery and other programs and the willingness of Nexter Systems to become a leading partner of Indian defence industry, Nexter Systems has decided to establish a wholly-owned subsidiary, Nexter India, in 2012", the company, true to its word, set up Nexter Systems India Pvt Ltd in Delhi on December 13, 2012. This year, the Nexter Group displays at its booth a wide range of products, from artillery systems (Caesar, Trajan) to guns & turrets offer (mock-ups of ARX20, POD NC621, Narwhal), armoured vehicles (mock-ups of VBCI, TITUS®), and also equipment from the company's subsidiaries: Nexter Mechanics (Syegon, Safepro), Nexter Robotics (NERVA®), Nexter Electronics, NBC-Sys and Optsys. Nexter Munitions is also displaying its entire medium calibre range, and some of its 155mm and intelligent ammunition. In 2012, the company had said that, “Nexter plans to open up new areas of cooperation in the Indian defence market by developing partnerships with Indian industry (transfer of technology, joint ventures, sale of components etc. ), to support and provide the local industry with the latest technology for the "Make India" projects and any new requirement of the Ministry of Defence of India, to collaborate with the Defence Research and Development Organisation (DRDO) for modern and high technology research and development projects.” The company has established cooperations in India to collaborate in the Indian Army's artillery competitions. For instance, Nexter Systems and Larsen & Toubro signed anagreement in June 2010 to cooperatively develop a 155mm mounted-gun system (MGS) for the Indian Army. In September 2011, the company and L&T signed a second agreement for the Trajan® 155mm/52-calibre towed-gun for the Indian Army. Both agreements announce the formation of a Nexter Systems-led consortium for the 155mm/52-calibre mounted-gun programme and the 155mm/52-calibre towed gun programme and the upgunning of the M46 for the Indian Army, both in various stages of progress. Finally, an eyecatcher at this year's show is undoubtedly the Arjun Catapult system, unveiled for the first time at this year’s show. The system, comprising a Russian-origin M-46 130mm ‘Catapult’ gun on a modified Arjun chassis and automotive system, has been successfully demonstrated in prototype form to the Indian Army in 2012. The system will enter a phase of technological fine-tuning in coordination with the Army later this year before targeting production by 2015-16. The Arjun chassis is likely to be exploited in other ways too, with inquiries pouring in from international vendors who want to partner with DRDO to create hybrid systems based on the indgenous platform.